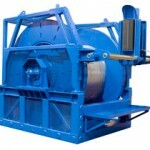 Ocean science and security customers worldwide trust Hawboldt engineering and manufacturing to meet their most challenging requirement for specialized winch systems and line-handling equipment. 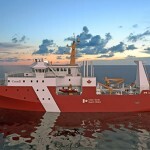 Hawboldt designed and built an integrated suite of deck gear to support the full range of Coast Guard operations in fisheries and ocean science research. 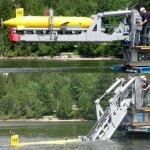 Hawboldt designed and manufactured a LARS system for International Submarine Engineering Research (ISER) allowing safe deployment and capture of AUV systems in high seas conditions. 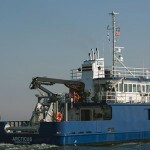 The RV ARCTICUS is conducting oceanographic and fisheries research year-round for USGS, using compact deck equipment designed and built to order by Hawboldt. 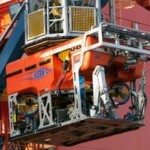 Deck Equipment for 22m and 25m oceanographic and research Inshore Science Vessels. 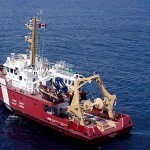 Hawboldt provided a comprehensive suite of oceanographic deck equipment for the research vessel Araon to conduct tests in the areas of geophysics, biology and oceanography in ice-covered polar regions. 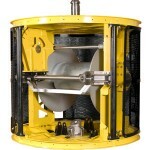 Deck Equipment and Commissioning Services for the Mid-Shore Patrol Vessels. Hawboldt’s quick delivery was able to meet customer demands for tight mobilization schedules with robust and reliable LARS equipment in stock for Work Class ROV’s. Saipem America relies on these Launch And Recovery A-Frame Systems (LARS) to meet its stringent quality standards in offshore lifting applications. 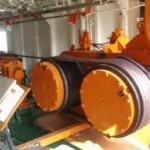 Saipem America relies on these Tether Management Systems (TMS) to meet its stringent quality standards in offshore lifting applications.